These species are considered to be one of the most popular animals in North America. The reason behind is the cuteness and their small size combined with sharp skills. We detail the animal in a step by step manner in the article here. 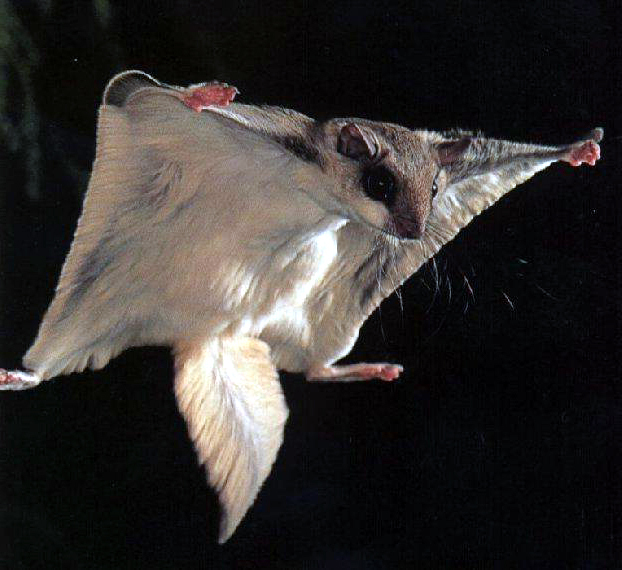 These species have wings thus known as the flying squirrel but since they glide more in reality, they have been classified as mammals. 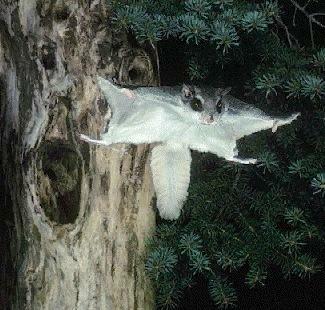 These squirrels become sexually matured when they turn one and are very candid by nature. These squirrels are mostly found in the Eastern regions of North America spanning Canada to Florida and also in certain parts of Mexico, Guatemala, and Honduras. 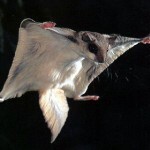 Size of Southern Flying Squirrel: These species vary from 7.75 to 10 inches in length. Color of Southern Flying Squirrel: The upper portion of the body is covered in fur which is either brown or grey. The body underneath appears grey colored. 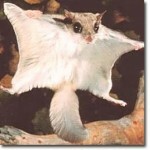 Face of Southern Flying Squirrel: These species have a small round head with big, round and black eyes. They also possess small ears on both sides of the head. 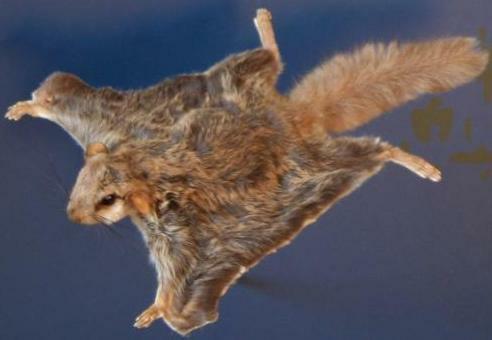 Body of Southern Flying Squirrel: These species have furry membranes on both the sides of the body that appear joined from the fore limbs to the hind limbs. These membranes look like the wings while their tails appear furry and sweet. These species are considered in the category of mammals rather than birds. Their climbing feature is really wonderful. While hunting, these species usually watch their victim from the tree then sweeps down gently to grab them. Southern flying squirrel likes to have berries, acorns, seeds, nuts, lichens, bird’s egg, and dead animals in their diet. In order to refine their teeth these species also have bones and antlers of all kinds of moribund animals. This also doubles up as a calcium supplement for these species. These species are popularly spotted on the regions of deciduous forests. Other places where they like to dwell are left out nests of the woodpeckers and grey squirrels. The mating of these species depends on their latitudinal location. In the Northern portion these species mate during spring and fall while in the southern parts they mate during summer and winters. These species become sexually matured after the age of one. Their pregnancy spans for 40 days on an average. The offspring are born blind, hairless and have folded ears. The weight of these species is 4 gram at birth. Their folded ears open only on the 5th day of their birth while they eyes after 24 days. In just 12 weeks, the younger squirrel becomes matured. The adaptive features of these species are very limited. The bigger birds flying at large usually threaten their life. They climb through the tree branches in to the denser portion where the larger birds cannot enter for self-protection. When the forest carnivorous threatens them, these species usually climb up the trees. Otherwise they climb downwards to protect themselves from large birds. These species do not have any kind of sub species. 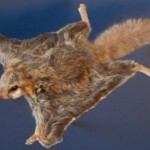 They only one nearly similar is the Northern Flying Squirrel. Proper Housing: The coop of these species should be at least 16 inches deep, 30 inches in tall and 16 inches wide. It is good to provide them with a natural ambience with lots of branches of trees for play. A relaxing pouch to reconcile and sleep could be a handy provision for the cuties. These squirrels have soft bodies and therefore it is prudent to put some cotton at the bed of the cage and cover it up with newspaper. Proper Food: They love to feed on fresh fruits, nuts, vegetables etc. Proper Handling: While moving about, these beautiful species can be easily carried in a pouch. These species live for about 6 – 7 years in wild while in the safety of the cage they can live for about 12 to 13 years. The flying range of these species is 0.5 acres – 4 acres. The IUCN reports states that the lives of these species are not at stake. In facts they are stated to be well populated.